High quality organic tea from Julius Meinl. 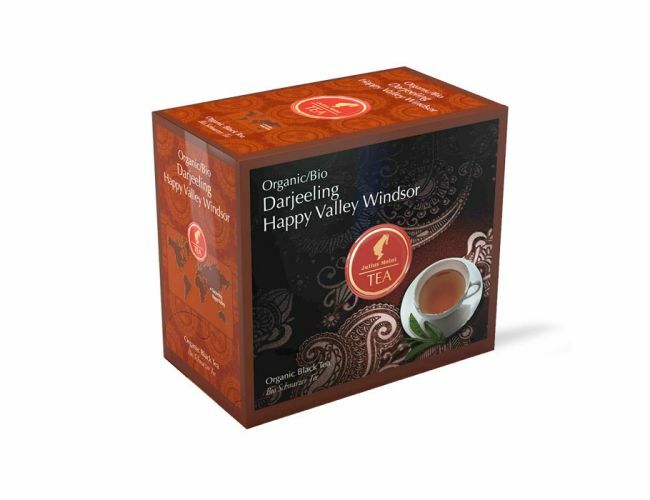 This remarkable second flush Darjeeling grows on certified organic farms in the Happy Valley garden at the foot of the famous Himalayas. This Julius Meinl tea fascinates with its fine floral aroma as well as a strong amber color in the cup. Each tea bag contains 4g. Perfect for Tea for Two.